Saturday afternoon, Ralph, my sister Ele and I set out on an adventure. We were invited to a birthday party that turned into one of the most fun experiences we’ve had in a very long time. We have good friends, Ginny and John who live in a town outside of Philadelphia in an area known as the Main Line. It’s the kind of area that I could drive around in for hours just looking at the homes and the architecture. We got some of that by accident yesterday because we were unable to find one of the streets where we were meant to turn. We had to stop for directions and soon we were at our destination which was the borough hall in the town where the live. There’s a big community room there and this party required it! 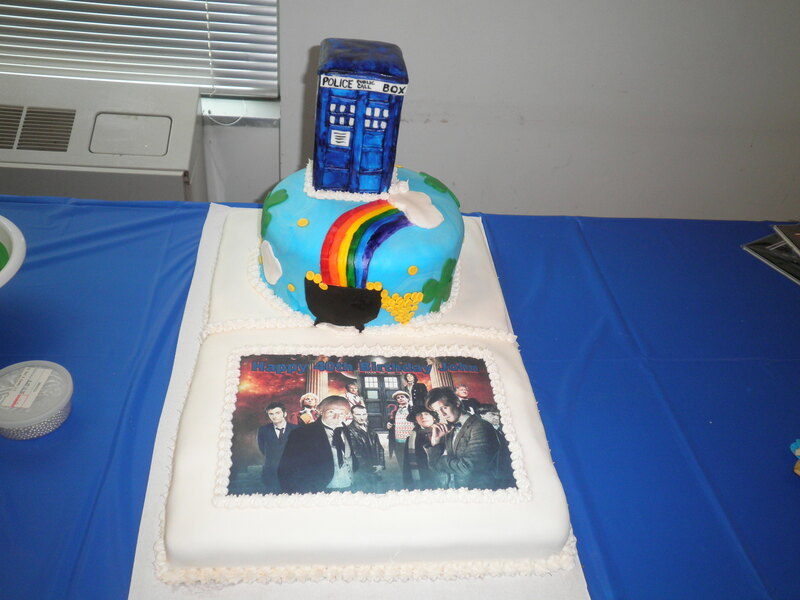 The theme of the party was a combination of St. Patrick’s Day (John’s actual birthday) and Dr. Who. I know there IS a Dr. Who. That’s the extent of my knowledge. 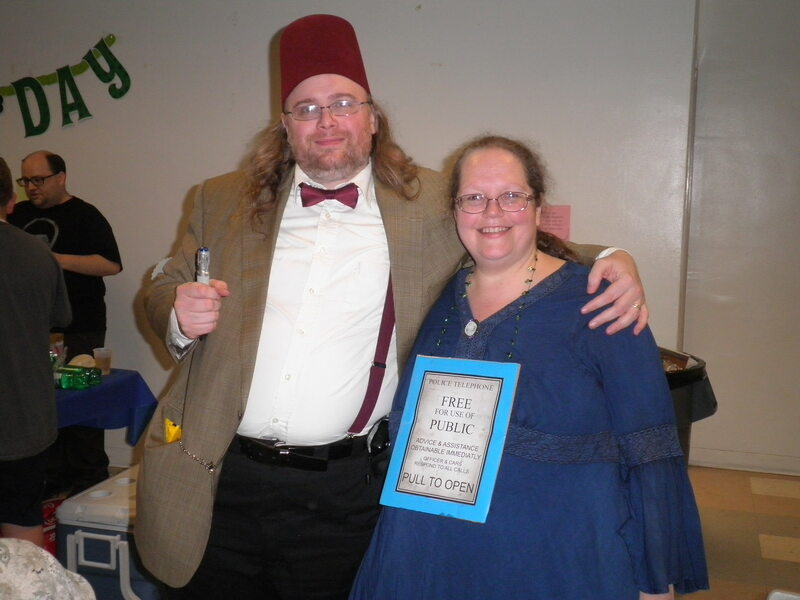 John is a real Dr. Who scholar and so it seems are many of the friends and relatives also at the party. 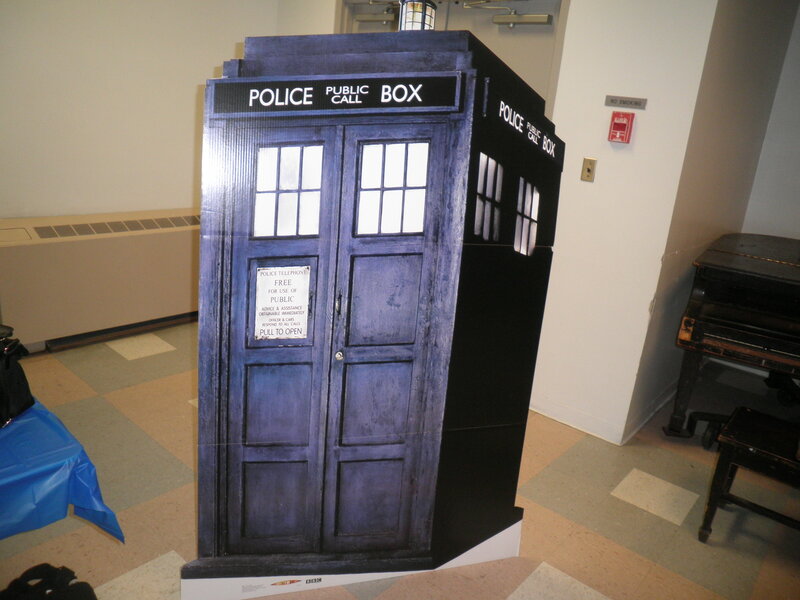 On arrival, we were greeted by the TARDIS. It’s a British police call box that plays a big part in Dr. Who-ology. Don’t ask me, I don’t know. 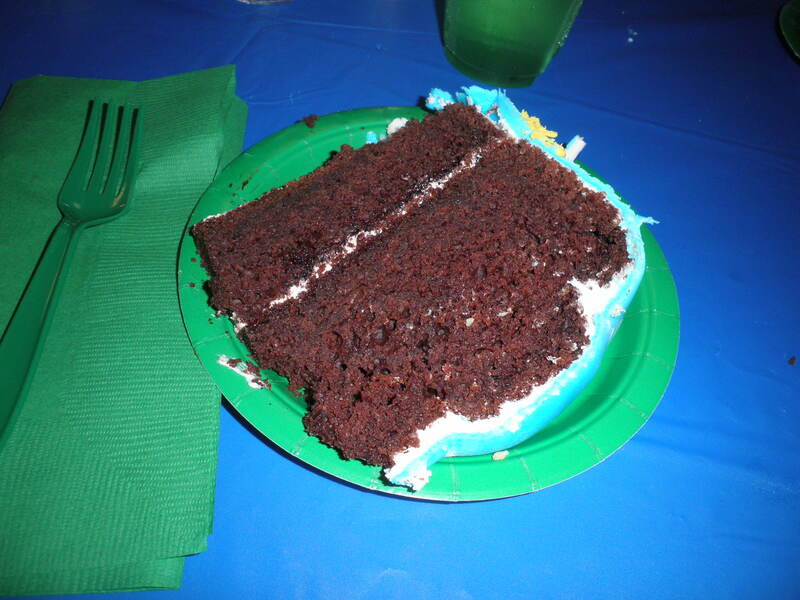 But it must be important because it was on top of the cake! 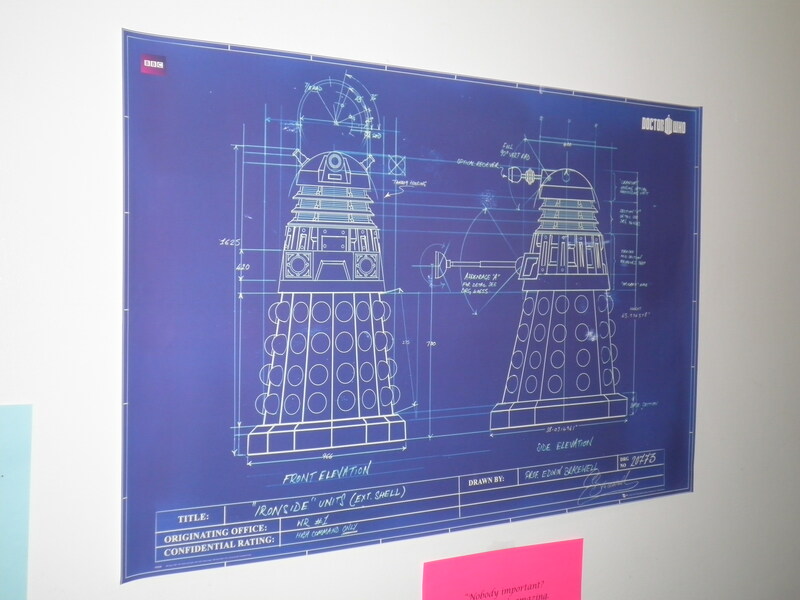 This is a blue print for a Dalek, apparently one of Dr. Who’s enemies. Ele actually won this poster in a raffle! 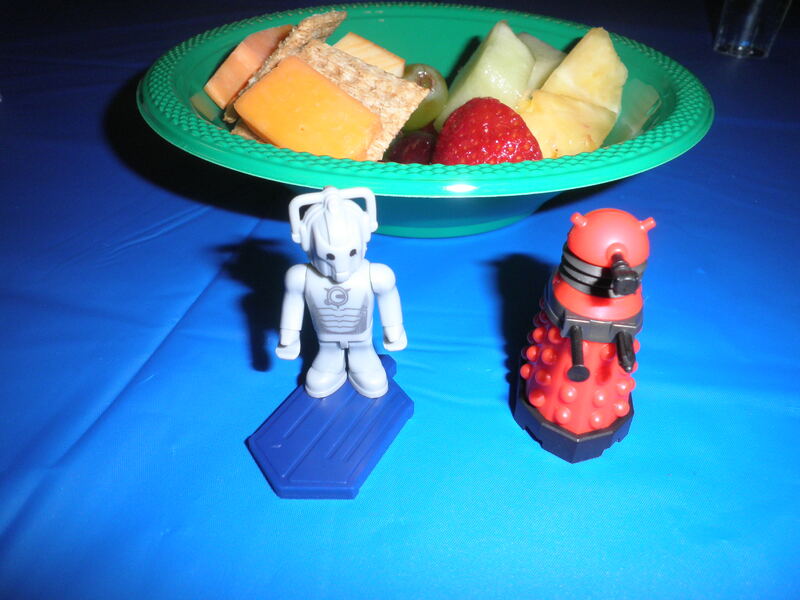 There were Daleks and Cybermen (more bad guys) everywhere…they tried to steal my snacks! 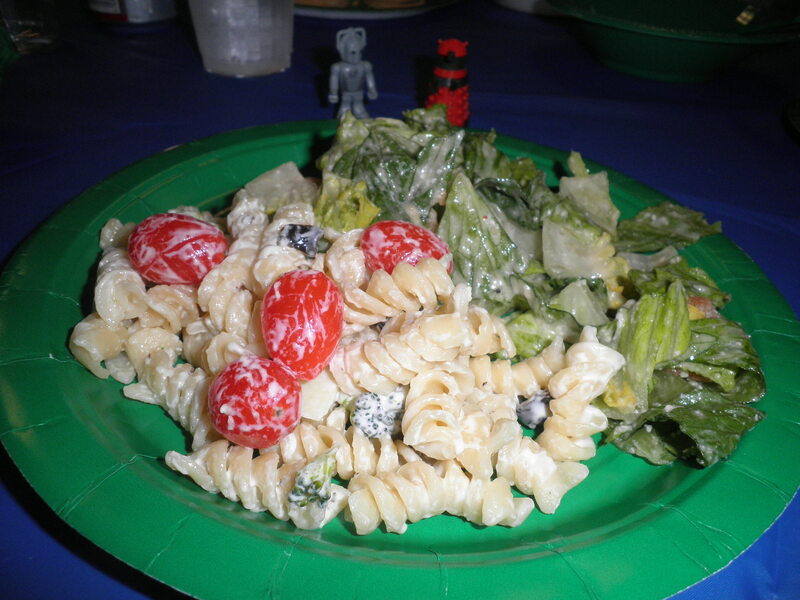 They also tried to steal my yummy pasta salad and Caesar salad. They did Not succeed either time. 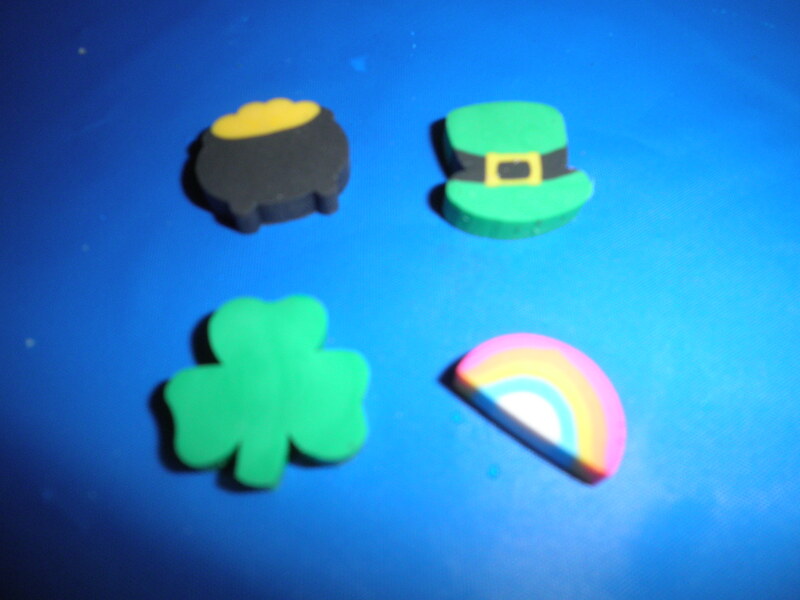 Because St. Patrick’s Day was part of the theme as well, there were tiny Irish themed erasers for party favors. John and Ginny. John dressed as Dr. Who, which Who I don’t know, and Ginny dressed as a TARDIS. They are a great couple and so much fun, even when not in costume. We’re so lucky to have them as friends. We met a lot of other really interesting people who Ginny and John join in live action role-playing games. It was a very enjoyable party. So glad we found our way there. Not only did we not know Who we were, we also didn’t know Where we were on the way home. We got lost again, found ourselves in some interesting neighborhoods. We finally saw the lights of Center City Philadelphia and then it was easy to find our way home. Oh, No…They’re taking over my Post….Helllppppp!!!!! This entry was posted in Uncategorized and tagged road trips. Bookmark the permalink. Heh. 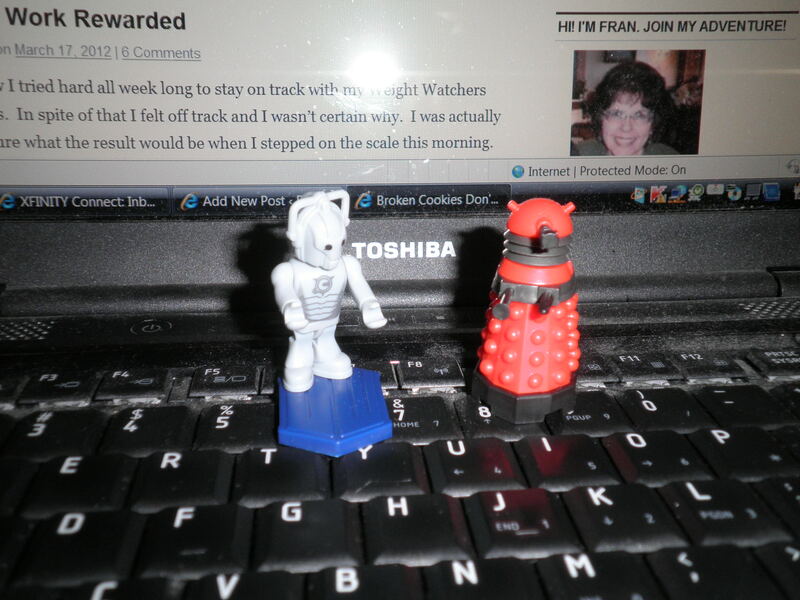 I went through a Dr. Who phase…so I know the Tardis (small on the outside…) and the Daleks. Looks like a really fun party! Hey, Zo! It was a lot of fun! They had a Dr. Who trivia contest and I got some of them right just by guessing, but I had no clue! Such a cute event…the cake is gorgeous! I love how talented and creative people are! Hi Ameena! It was such a fun time. You’re right, I am Never that clever when it comes to coming up with party ideas! Sarah, I had the feeling I’d hear from my Brit girls about this! They are quite a unique couple and it was so much fun!